Fall is my favourite season. I love the crisp air, the beautiful colours of the leaves, sipping hot coffee and starting new things (Little C starts kindergarten in a couple of weeks!). I wanted to make a Fall wreath to display over the chalkboard on our living room wall, but I didn’t want to spend any money. One thing I like about not being filthy rich? 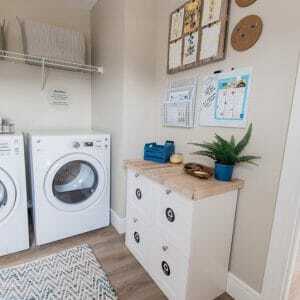 You learn to make do with what you have, and it’s a great creative exercise! With a few materials from my recycling bin and my scrap fabric stash, I made this pretty kraft paper and burlap Fall wreath that I now have hanging in our living room. It was a complete experiment, but I’m pleasantly surprised with how pretty it turned out to be. I based it off of the popular book page wreath (I used this tutorial as my inspiration), but I used an old roll of kraft paper cut into rectangles and a DIY wreath form instead. 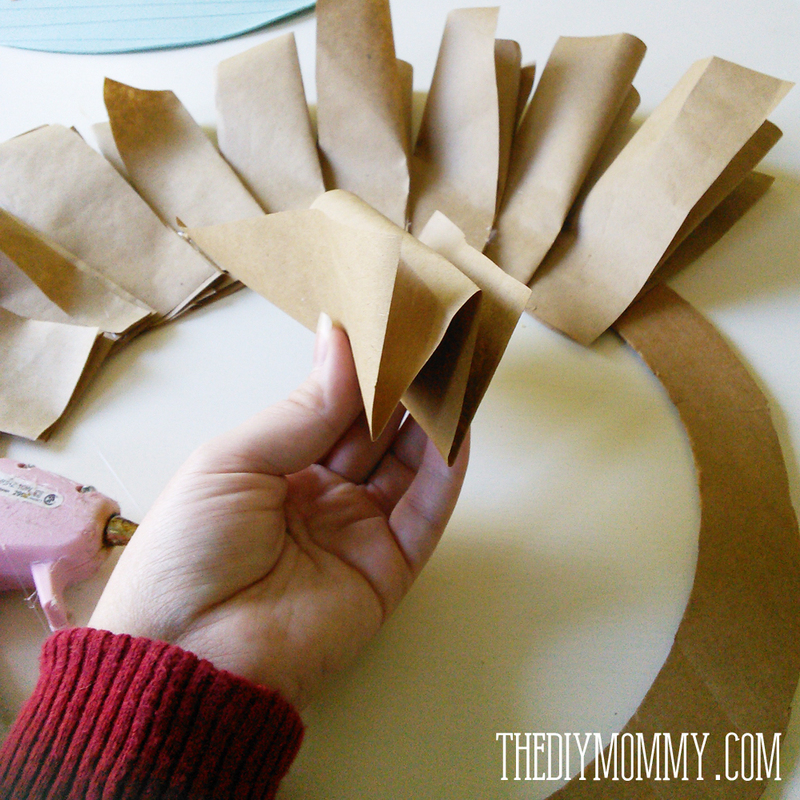 Cut your brown paper into rectangles that measure about 6″ x 8″. The amount you need will depend on the size of wreath you make, but I used about 70 rectangles. 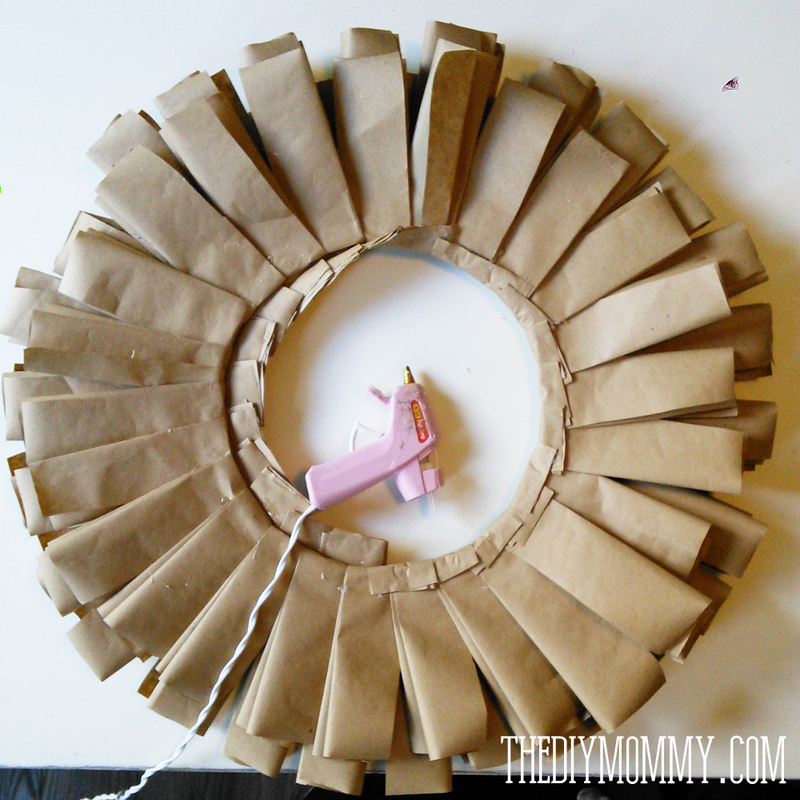 Cut a wreath shape out of your cardboard box. I made mine about 10″ in diameter in the center, and about 3″ wide. I used a plate to make the circular center shape. I folded each piece three times (front, back, front) starting on one short edge. I creased only one side, and left the other side un-creased so it had a softer look. 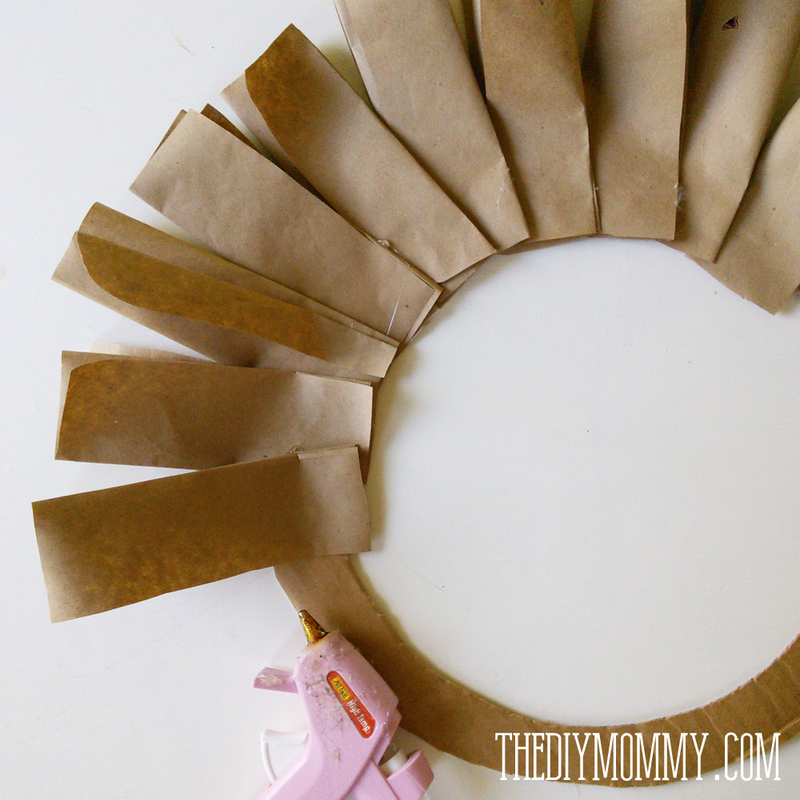 Using your glue gun, glue the folded rectangles to your wreath form as above. Overlap each piece about an inch, and leave about an inch of overhang in the center (this will be folded under later). You can also glue the accordion folds together before you glue the paper to the wreath form (glue the edges, not the middles- I found this out the hard way). Then, fold the edges of the bottom rectangles up over the edges of the top ones and glue gun them in place as shown above. Next, add a final layer of folded rectangles to the front of your wreath by gluing them in an overlapping pattern and overhanging them about 1 inch inside the wreath form, as shown above. 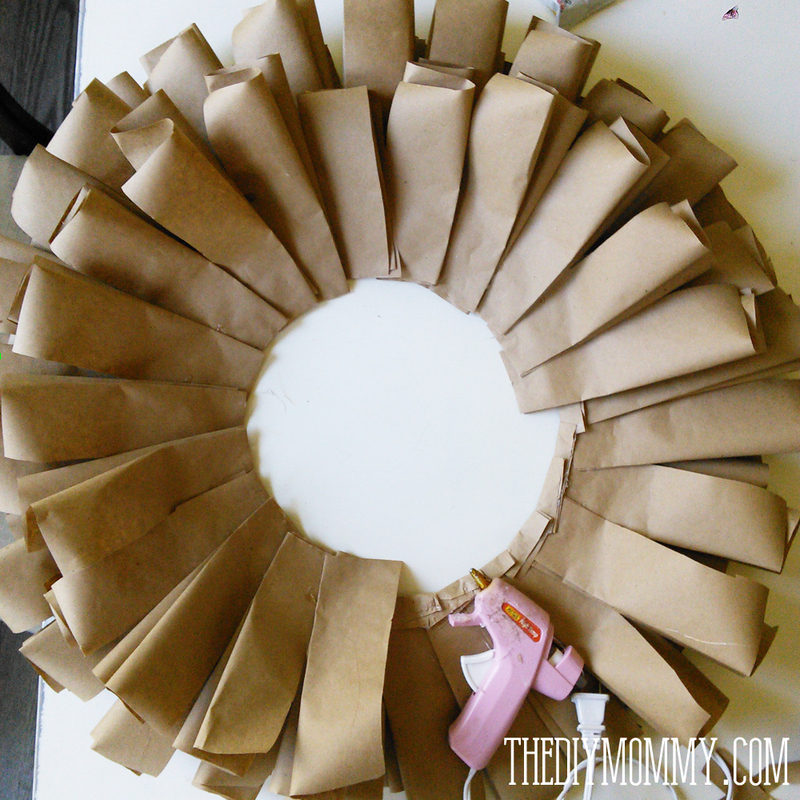 Flip the wreath around again, fold the edges of the rectangles over to the back of the wreath and glue gun them in place as shown. Turn the wreath over to the front, and it is done! 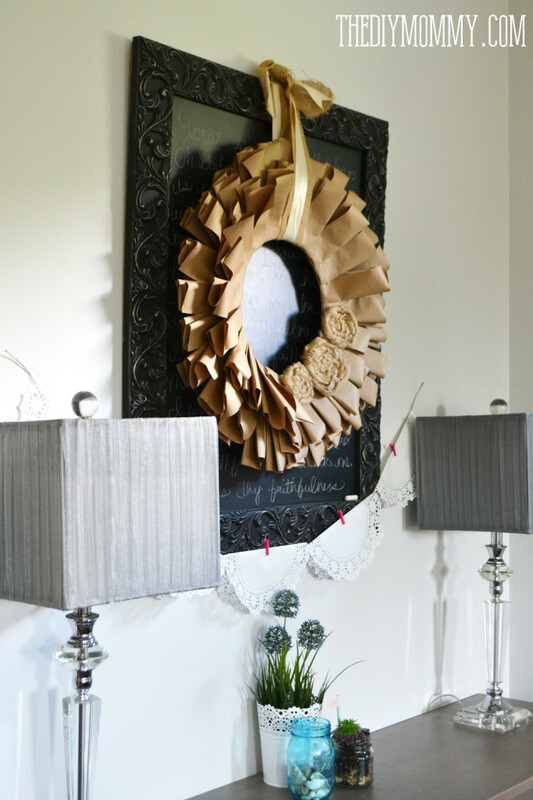 If you wish, you can embellish it with burlap roses. 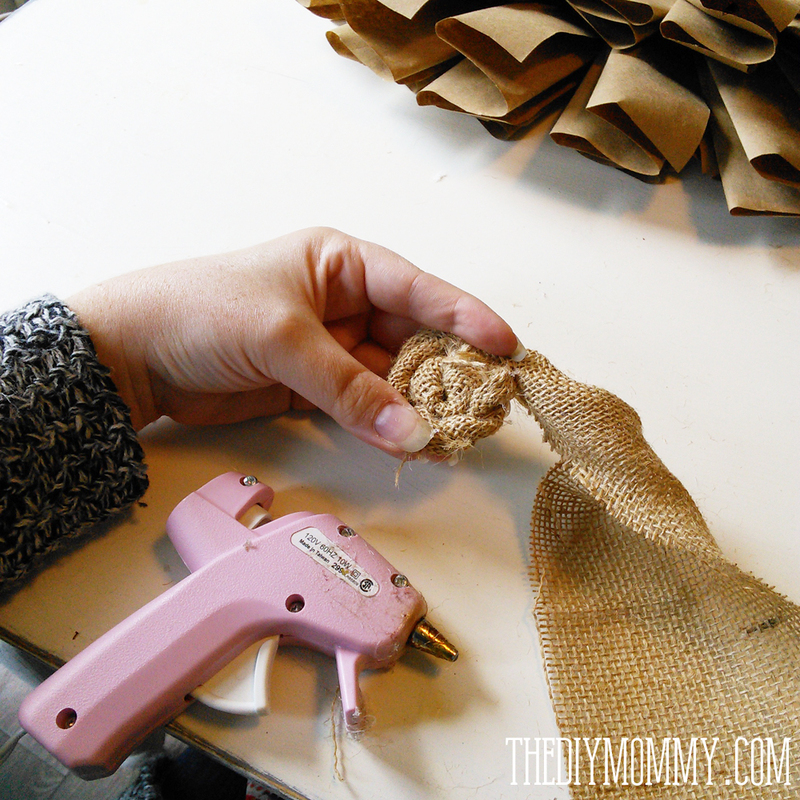 Take a strip of burlap, and twist and roll it into a spiral like I have done in the photo above. 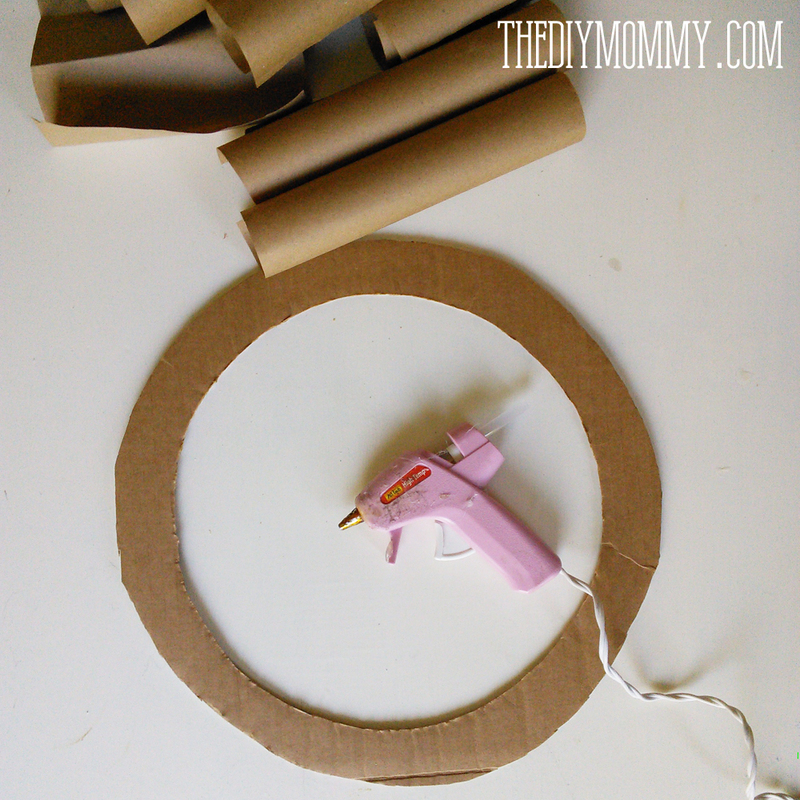 Glue the spiral in place as you go along with a glue gun. I made three roses – the center rose is a full strip long (about 45 inches) and the two side roses are made from half a strip each (about 22 inches long). 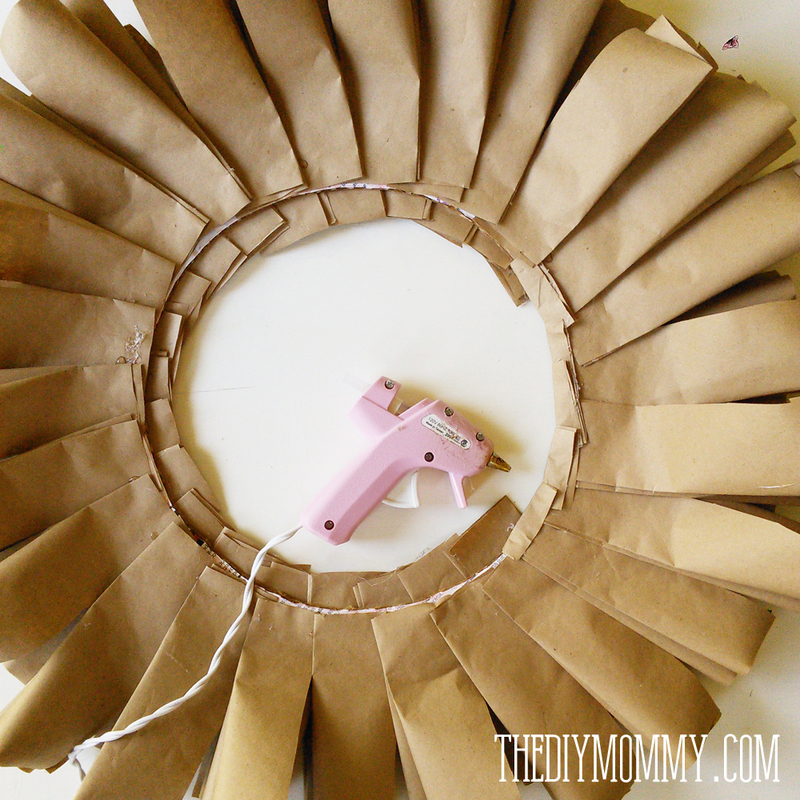 Glue gun the roses to the bottom of your wreath and slightly to one side. 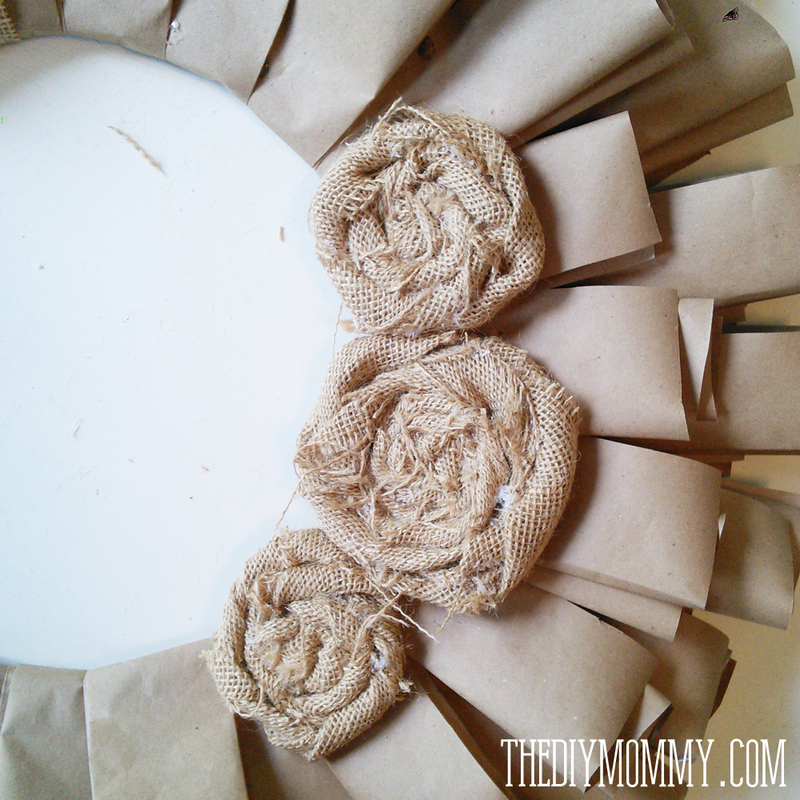 You can then use a strip of burlap and a piece of ribbon to wrap around the top of the wreath and tie to hang the wreath. I hung mine over the chalkboard in our living room, and I wrote the words to one of my most favourite hymns on the chalkboard (Great is Thy Faithfulness). 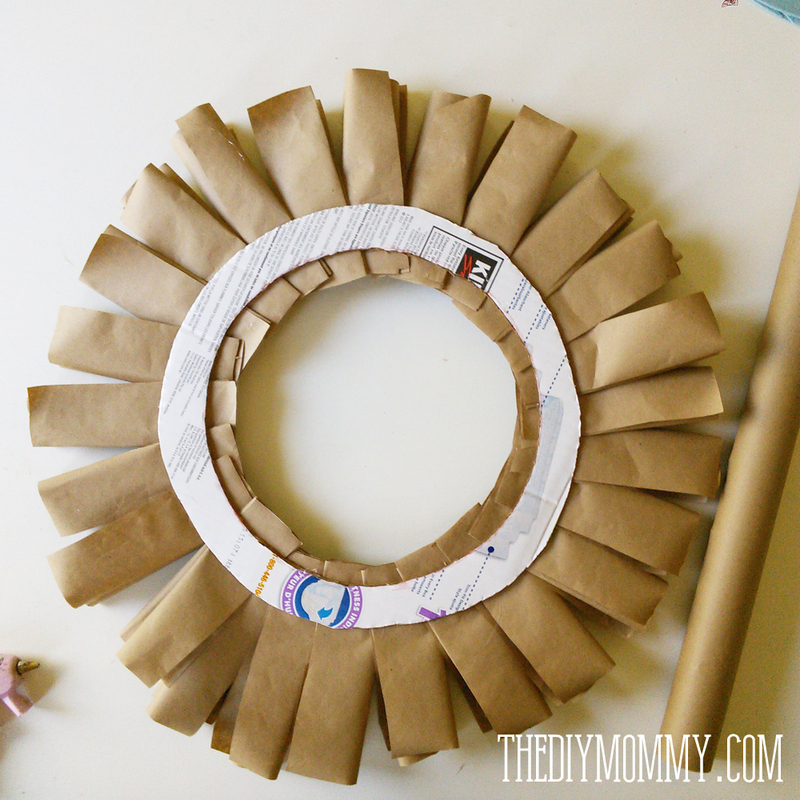 I love how the wreath looks ruffly and full from the side, even though its base is just a flat ring made from a diaper box! 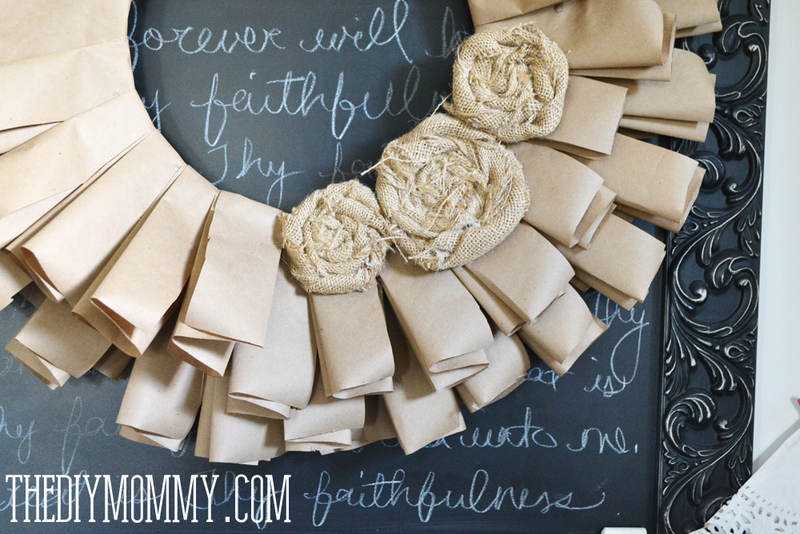 This would be fun to embellish with different things too – maybe a bow or some flowers made of paper too! I am totally head-over-heels for this sweet wreath made out of things I was going to send away. 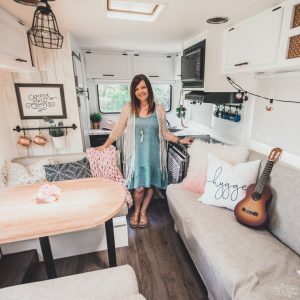 Nothing makes me more excited than a free DIY! This is just darling! I love it!! Great job, Christina! Impressive! I saw you writing about this on IG this last weekend and was really dying to see how it turned out. It is beautiful and perfect against the chalkboard. Super cute and SO creative! So very pretty! 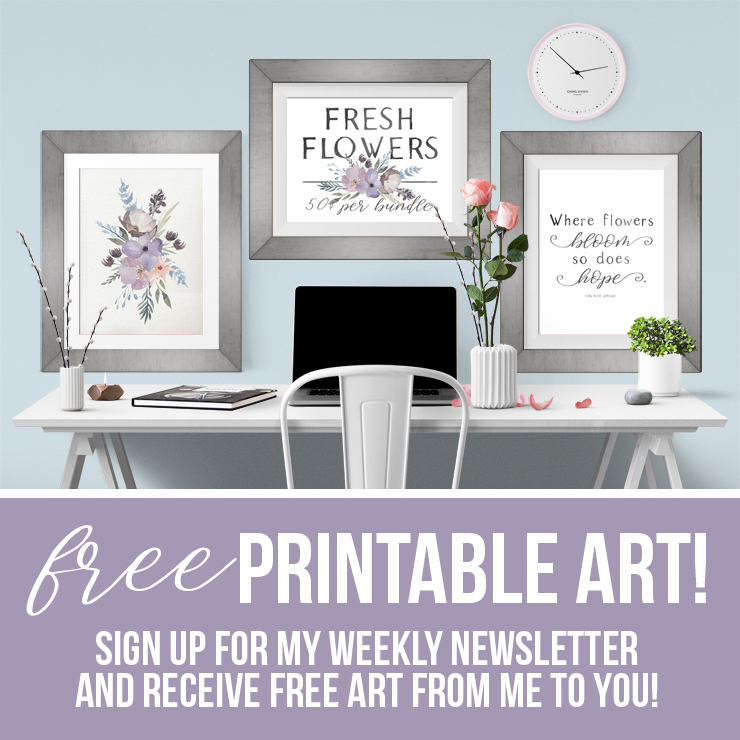 I love how you folded the paper and the flowers are the perfect finishing touch…Hmm….might might make a great Halloween wreath with the addition of a crow and some spider webs! Pinned it! Thanks so much, Jeanette! I love the idea of making a halloween wreath like this. This is fabulous! So creative! I’m amazed that something so adorable was created out of recycling trash! I will have to try it soon. 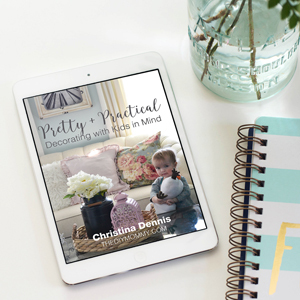 What a gorgeous and unique wreath you’ve created Christina! 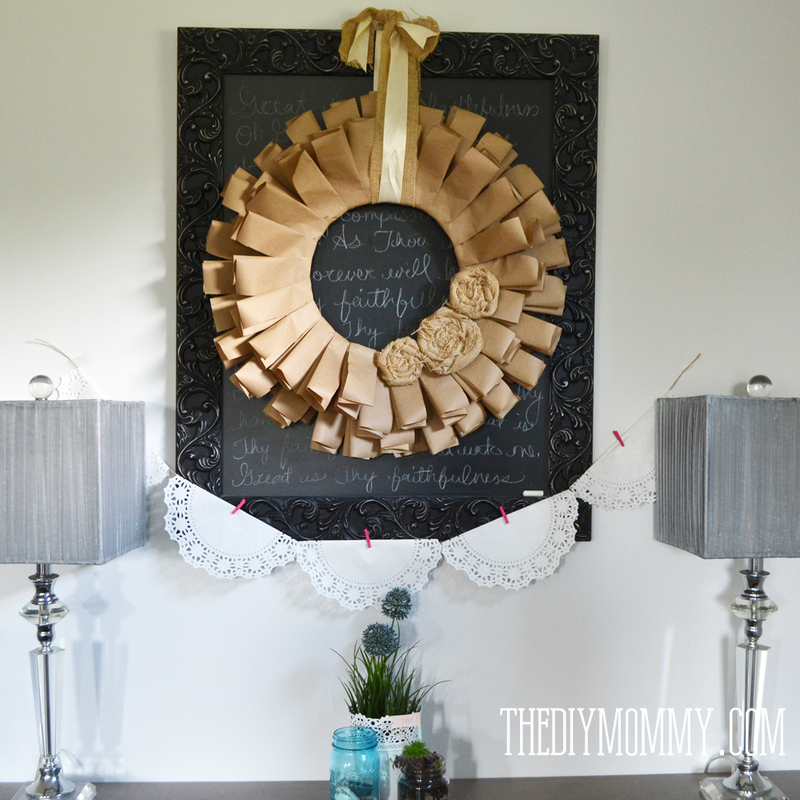 What a fun beautiful wreath! 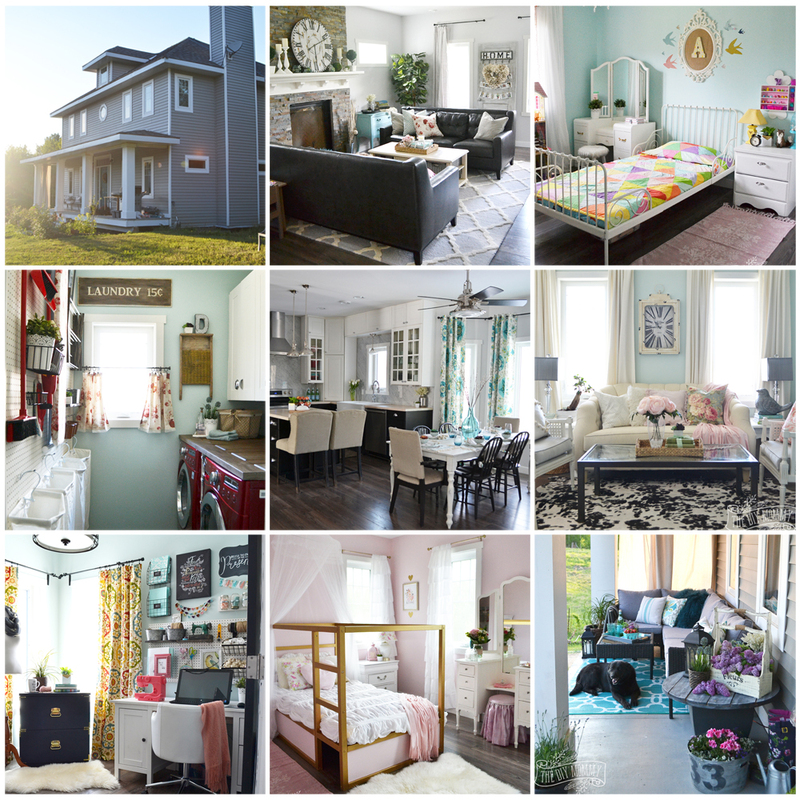 Congratulations on being featured at “Inspire Me Monday.” Blessings! Thanks for sharing your thoughts about fall wreath.